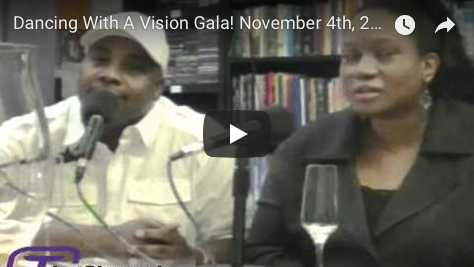 Dancing With A Vision Gala is the event to attend this fall! Dancing With A Vision Gala! 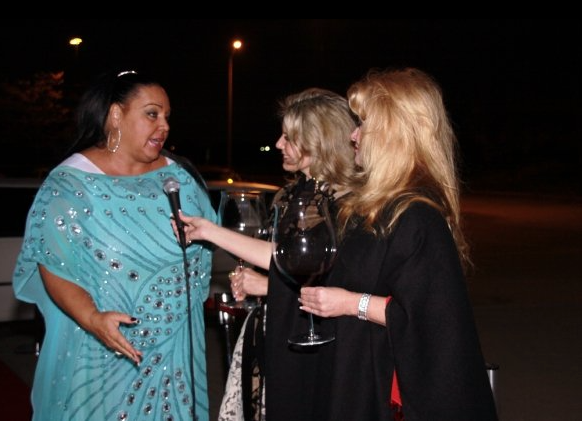 November 4th, 2010, The Wine Ladies TV. Watch The Wine Ladies TV Wednesday Sept 29th, 2010 at 2:30PM -3:30 PM. First, we welcome Avril Riley of Boca Publishing Group Inc. http://www.bocapublishing.ca and as a sponsor and ambassador for Acorn to Oak Services who has been the driving force behind this special gala. Also Canadian fashion icon, Linda Lundström who in her career, has reached the pinnacle of success for her innovative approach to creating clothing for the “Authentic Women” and as a sponsor, patron and ambassador of the gala will share her many stories which will both inform and inspire you. Also from Jay Martin our co-host for the evening Jay Martin THE explosive and charismatic face in comedy who’s refreshing style of humour will have you laughing uncontrollably for the entire hour. And last but not least Andrew and Victoria the SuperStars Duo who will perform live at the gala, drop by and give us a sampling of their Super Star Tribute show, all this while we toast with a glass or two of bubbly! A fundraising gala to support the building of the Acorn to Oak Youth Centre. Join us The Wine Ladies as we co-host this stellar evening along with super funny man Jay Martin .The evening promises to be a sparkling one as guests will be entertained by the “Super Stars” including the legends Tina Turner, Shania Twain, Sonny & Cher, Roy Orbison and Neil Diamond, the sparkling guest list will feature dignitary speakers Dr. Pat Francis , Honourable Margarett Best MPP and Andrew Kania, LL.M., Member of Parliament Brampton West all the while enjoying wonderful cuisine, top notch entertainment, a fascinating guest list and all for an important cause. 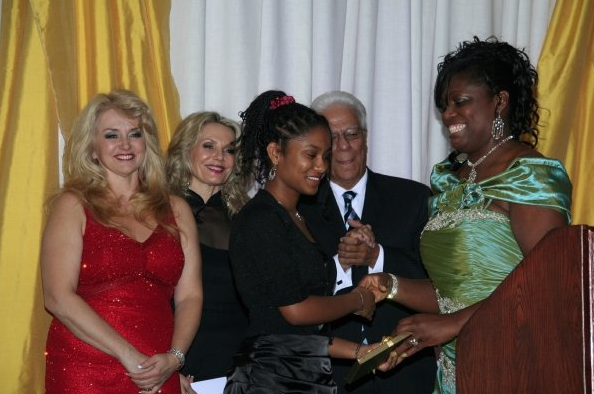 The inaugural Dancing With A Vision Gala took place on Thursday October 29th,2009. 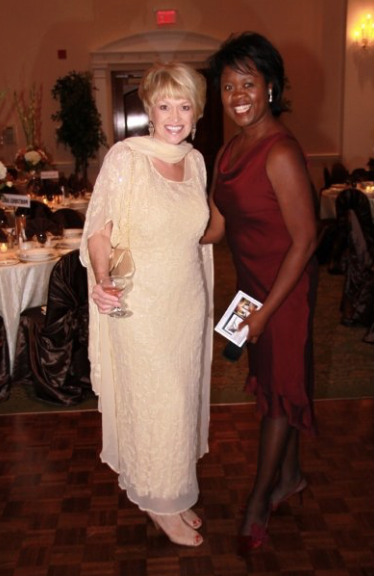 The goal of the Gala was to raise funds for the Acorn to Oak Youth Services. Acorn to Oak Youth Services intention is to impact a generation ,incite positive change,enabling success in each aspect of life. Working with youth, one-on-one, to develop life skilss and achieve personal goals is the methodology used by A2O, guiding youth towards independent living. The Wine Ladies were there on the red carpet and co-hosted the evening. Simply spectacular! We will be there next year too. Acorn to Oak Youth Services exists to restore, equip, and transform lives, propelling youth to achieve their full potential regardless of their circumstances. The program includes mentorship, restorative justice, counselling, the collegiate, sports and recreation. The Acorn to Oak Youth services youth within the GTA and is in need of a youth centre. The future is in our children! This Gala will help get them one. Be sure to join us on the red carpet and a night of memories, entertainment, exquisite food ,silent auction and more. We invite you to join us all for a good cause. 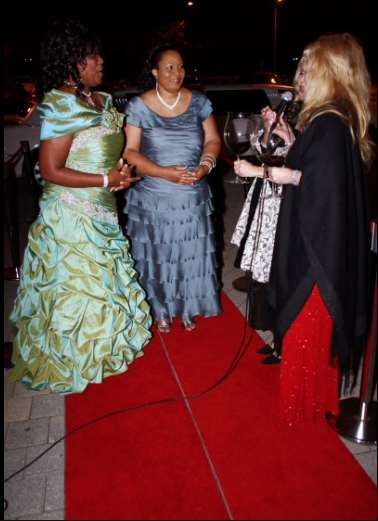 Liberty Silver on the red carpet, Dancing With A Vision Gala. To buy tickets to the youth gala event by contact 905-840-4591 or 647-638-3687 Support our Youth TICKETS ARE ON SALE NOW ($130/person) The Dancing with a Vision Gala is being produced by Boca Publishing Group Inc. http://www.bocapublishing.ca . 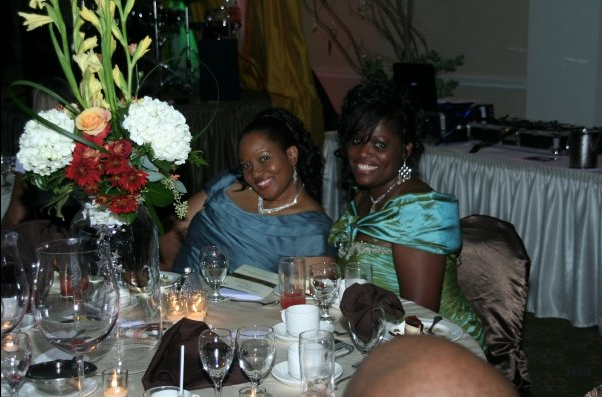 BOCA specializes in desk top publishing, book publishing, wedding planning and corporate and social event production. Watch The Wine Ladies TV every Wednesday on www.thatchannel.com .If you missed last week’s TV show not a problem, watch The Wine Ladies TV podcasts and archived shows on www.thewineladies.com and www.thatchannel.com/TheWineLadies from anywhere and anytime. Also, don’t forget to set that radio dial to The Jewel Radio Network at 88.5 FM in Toronto, 98.5 in Ottawa and 107.7 in Hawkesbury on line at www.jewelradio.com every Sunday morning at 8:30a.m. to connect with The Wine Ladies radio show. 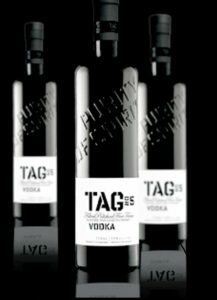 Sniff, Swirl and Slurp with Tag No.5 Vodka! Kerr Village Farmers Market, Oakville. Engage all your senses.Tag No.5 is it! Sweet corn based premium vodka with delectable treats! What does a local farmer’s market, Kerr Village Farmers Market and vodka have in common? Sweet delicious corn grown locally, the base for this quadruple distilled and filter polished five times vodka. Tag #5 Vodka . We invite you to join us Saturday, Sept 25th, 2010 for a very special tasting event! Come experience the sensational taste of one of Canada’s finest vodkas made locally in Oakville, Ontario paired up with the delectable food prepared by Liaison College Oakville campus, Ontario’s largest trainer of chefs and cooks. Richard Messer, Heads up Kerr Street, BIA. We invite you to shop at the local Kerr Village Farmers Market. Buy your fresh vegetables and fruits. 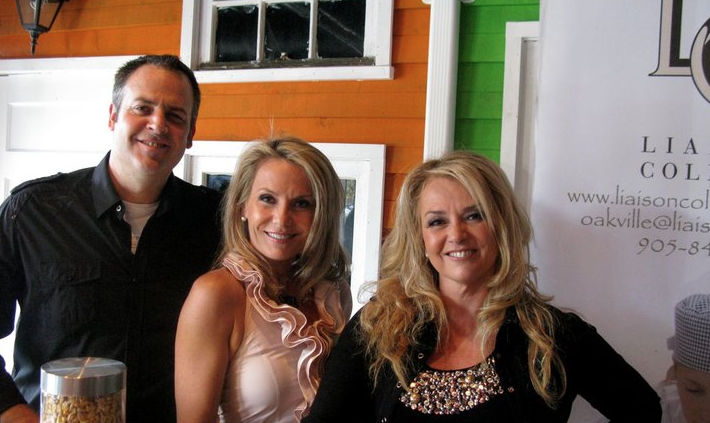 Then join us for a lovely culinary and vodka tasting at Coast Bar & Grill , 355 Kerr Street, Oakville, Ontario. Buying local is buying smart! Swirl and sniff? Does this apply to vodka and wine? Is the “finish” of a vodka as important as it is with wine? To vodka and vodka cocktails food pairing: Are the principles the same as with wine? Optimum way to get the most out of your vodka. 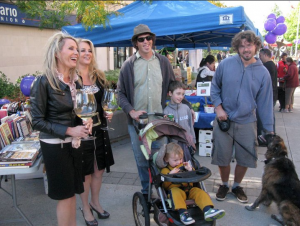 Every Saturday, many people spend their Saturday afternoon at the Kerr Village Farmers Market from June to October. — with Georgia, Susanne Seelig-Mense and Dale Roosien. everyone – whether looking for locally grown produce, seeking seasonal ingredients for a favourite family recipe, or simply in search of a trendy community gathering place. When shopping at the KVFM, you support local family owned farms, as well as independent businesses. This means you get your food directly from the source. Fresher food translates into better taste. And ultimately, better health. As well, precious resources are not wasted on long distance transportation. You enjoy the most delicious, nutritious and reasonably priced seasonal produce, while meeting face to face with the very people who raise, grow and make your food. In addition to providing the highest quality products, all KVFM farmers and vendors are committed to the long term well being of our fragile environment. And while some are actually “certified organic,” all practice sustainable farming methods – preserving the richness of their lands for farming generations to come. The Kerr Village Farmers Market is open every Saturday, June 19th through October 9th between 9 am and 1 pm. This family friendly venue also features the Market Cafe. https://www.thewineladies.com/wp-content/uploads/2018/06/Screen-Shot-2018-06-20-at-7.37.51-AM.png 539 710 Susanne Seelig-Mense https://www.thewineladies.com/wp-content/uploads/2017/08/WineLadiesLogoTransparent.png Susanne Seelig-Mense2010-09-14 12:00:012018-06-20 08:28:41Sniff, Swirl and Slurp with Tag No.5 Vodka! Kerr Village Farmers Market, Oakville. We invite you to join us for what promises to be an evening of stunning fashion, fabulous food, delicious wine, wonderful musical entertainment and all for a good cause. Join us at Silkeborg, http://www.facebook.com/event.php?eid=112121542178133#!/pages/Silkeborg/217103454782?ref=ts the stunning ladies fashion store located in Oakville, Ontario on Thursday Sept 23rd for an evening of Couture for a Cause at Café Borg. There is no cover to attend the event, however we ask that purchase a minimum of $20.00 in raffle tickets, the proceeds of which go to The Angel Project TAP a local organizations since 2007 supporting long term complex care patients. Lots of door prizes worth tens of thousands of dollars to be won including In Beauty Med SPA gift certificates http://www.inbeautyspa.com/ , Kingo-Couture-SNO of Sweden jewellery http://www.facebook.com/fashionevents?ref=ts&v=wall#!/pages/Kingo-Couture-SNO-of-sweden-jewellery/89130138183?ref=ts and much, much more. Come and be entertained with a performance by special musical guest Andrew Cole www.andrewcolemusic.com described by Canadian rock icon Tom Cochrane with “a voice other singers would die for”! Located just 90 minutes north of Toronto the Muskoka region http://www.discovermuskoka.ca/ is a spectacular one with 1600 shimmering lakes, thundering waterfalls, sheer granite cliffs, aromatic pine forests and dense maple forests that turn crimson and gold in the Autumn. Flanked on the north by the untouched wilderness of Algonquin Provincial Park and west by rugged Georgian Bay, Muskoka is a playground of tremendous physical beauty, tranquility, artistic pleasures and culinary delights. It was not so long ago that “eating out” in Muskoka meant a wiener roast following a placid canoe trip , or grilling up the fish you caught earlier in the day. No more, Muskoka is now home to superlative chefs capable of crafting the most delicious and intricate entrees. These culinary stars and their establishments have taken the natural bounty of the land and created a culinary destination that is world class. We invite you to Savour Muskoka http://www.savourmuskoka.com/ . Our day in Muskoka included a visit to an organic farm, a hand crafted breweyhttp://www.muskokabrewery.com/php/home.php ,cranberry winery http://www.cranberry.ca/mlw/home.html , fresh local fare and a bee apiary are all part of this week’s show shot on location in the beautiful district of Muskoka, the Land of the Lakes. Georgia even chased down a chicken! Watch The Wine Ladies TV live on www.thatchannel.com /TheWineLadies Wednesday at 2:30pm. The Wine Ladies TV will be at the 6th year features continuous live entertainment ( Steven Page, Sloan and more), over 50 vendors (30 restaurants and 18 wineries) serving up the best local food and wine, cooking demonstrations and wine seminars, an intimate jazz stage – all on the beautiful banks of the Detroit River, Fort Malden National Historic Site of Canada. Come join us and sample the very best of Lake Erie’s North Shore! To purchase this wine or any other wine visit www.wineonline.ca and enter the promo code thewineladies for FREE delivery from the wine warehouse to your home or office anywhere in Ontario. Minimum order is one case. This silky smooth blend of Tuscan goodness is mostly Sangiovese with some Merlot and a touch of Syrah to round things out. It has a bright red fruit flavors, light tannins and a smooth finish that makes this wine incredibly drinkable. While delicious on its own, like most Italian reds this wine really comes to life with food. We suggest trying it with pasta, lamb or young cheese. Many thanks to Gina and Deborah for the fabulous fashions provided by and Silkeborg www.silkeborg.ca ,with two location in Oakville and Niagara-On-The-Lake as well as the stunning jewellery provided by SNA OF SWEDEN http ://www.snoofsweden.com/ . Also to Natalia and Christine over at the fabulous In Beauty MedSPA www.inbeautyspa.com for taking care of our skin from the inside out ! As well as to T-Zone Oakville http://tzonestudio.ca for keeping us in tip top shape. Up-Coming events not to be missed! The 6th year features continuous live entertainment ( Steven Page, Sloan and more), over 50 vendors (30 restaurants and 18 wineries) serving up the best local food and wine, cooking demonstrations and wine seminars, an intimate jazz stage – all on the beautiful banks of the Detroit River, Fort Malden National Historic Site of Canada. In order to avoid disappointment, it is recommended that you purchase tickets in advance. If tickets sell out for a particular day, this information will be posted immediately. BREAKING NEWS! Get Personal Twitter Messages from The Wine Ladies! We’ve just started, come and tweet with us! http://twitter.com/TheWineLadies. Dear Bill, We always welcome a crisp Sauvignon Blanc as a white wine option, perfect for one of the final hotter days marking the end of the summer. They are generally a little lighter in alcohol, and tend to pair well with a variety of grilled foods as well as salads. 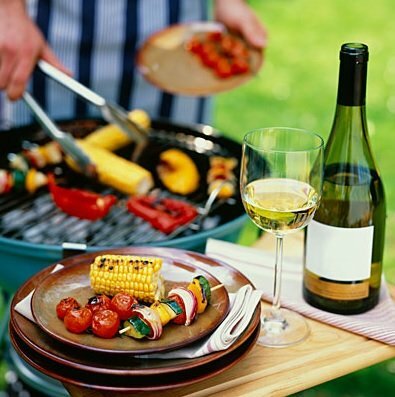 Grilled veggies and chicken often prepared with fresh herbs such as basil, parsley, rosemary and thyme are echoed in the grassy herbal notes of Sauvignon Blancs and the full flavor of these wines are also well equipped to stand up to the feta of a Greek salad. To the second white, not card-carrying members of the ABC Club, otherwise known as “Anything but Chardonnay” this grape still reigns, it is versatile and is a crowd pleaser. In contrast to the Sauvignon Blanc, select a Chardonnay with a touch of oak, fuller bodied with a bigger texture and bolder flavour. Perhaps one from Australia or California. The Chardonnay will pair well with the chicken, and for the exclusive white wine drinker, will stand up to the ribs too. To the red wines, offering a contrast once again, on the lighter side, opt for a Pinot Noir, which will behave nicely with the veggies and both main dishes, while a luscious, bold and fruity Zinfandel will provide for a match made in heaven with the barbeque ribs! 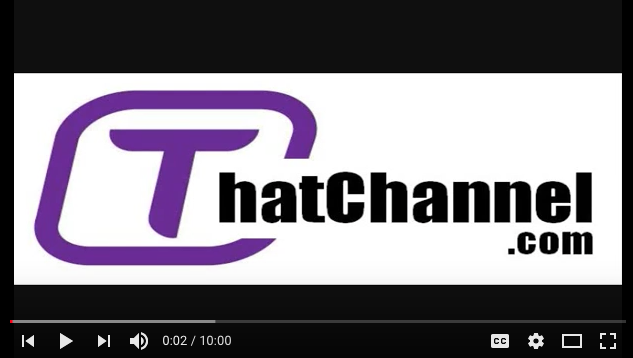 Watch The Wine Ladies TV Live every Wednesday on www.thatchannel.com from 2:30 PM to 3:30 PM.If you missed last week’s TV show not a problem, watch The Wine Ladies TV podcasts and archived shows on https://www.thewineladies.com and http://www.thatchannel.com/TheWineLadies from anywhere and anytime. Also, don’t forget to set that radio dial to The Jewel Radio Network at 88.5 FM in Toronto, 98.5 in Ottawa and 107.7 in Hawkesbury on line at http://www.jewelradio.com every Sunday morning at 8:30a.m. to connect with The Wine Ladies radio show. We’ll be lighting up the grill this Labor Day weekend and chilling with the whole family one last time before the leaves take a turn and the cooler nights descend upon us. We’ve got the menu set, Greek salad, grilled veggies including corn on the cob, chicken and barbeque ribs. To the wine, but which one? Mostly white wine drinkers we’d like to serve two whites, and one or two reds. Suggestions please? Join us, The Wine Ladies for a heavenly afternoon of wine tasting, superb food and an opportunity to view the plans for The Balmoral Condominiums of Oakville, Ontario poised to be built by the notable home builders Legend Creek Homes. http://www.legendcreekhomes.com/ Be one of the first to view the plans for this beautifully appointed, refined single level ravine living condominium complex scheduled for occupancy in Fall 2011. A little bit of heaven right here in Oakville. Enjoy a glass or two of award winning wines from Niagara’s Angels Gate Winery www.angelsgatewinery.com, paired up with some tasty bites, meet the winemaker Philip Dowell and discover why 2010 promises to be a superb vintage. Learn how to get the most out of your glass The Wine Ladies way! One lucky person will also be the recipient of a private wine tasting event at the Niagara’s Angel’s Winery for six (6) persons. You must RSVP to be entered to win.” and add must RSVP to be entered to win. Watch The Wine Ladies TV every Wednesday on http://www.thatchannel.com .If you missed last week’s TV show not a problem, watch The Wine Ladies TV podcasts and archived shows on https://www.thewineladies.com and http://www.thatchannel.com/TheWineLadies from anywhere and anytime. Also, don’t forget to set that radio dial to The Jewel Radio Network at 88.5 FM in Toronto, 98.5 in Ottawa and 107.7 in Hawkesbury on line at http://www.jewelradio.com every Sunday morning at 8:30a.m to connect with The Wine Ladies radio show.